Our Tapered Cork Plugs are made of laboratory-grade 100% natural cork that is lightweight, compressible and moisture resistant. 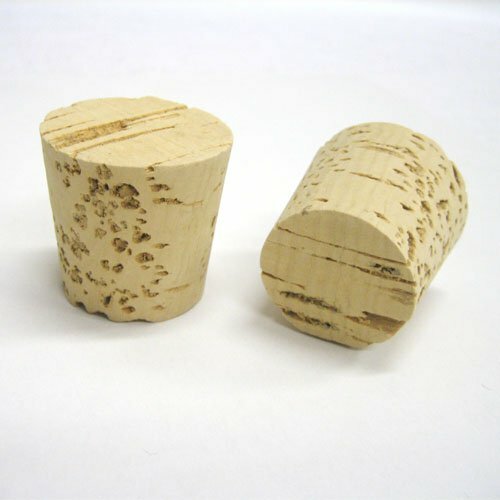 Tapered Cork Plugs are commonly used in the process of pouring concrete, maple syrup tapping, bottle or barrel plugging and much more. We offer our plugs in a variety of sizes to accommodate your needs. Each package contains 100 pieces. Made of 100% Natural Cork 100 Piece Package Lightweight, compressible and moisture resistant Perfect for pouring concrete, maple syrup tapping etc.